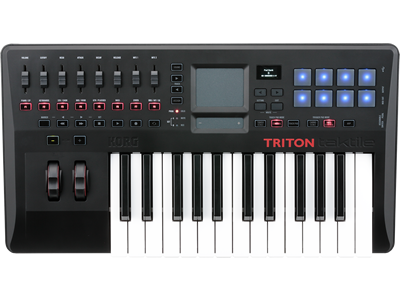 42 short sound demos showcasing the built-in preset sounds from TRITON taktile 25/49, derived from the legendary workstation KORG TRITON. Check them out at SoundCloud. * You can access sound samples (audio files) by clicking the audio button (the SoundCloud logo is in the top right hand corner of your computer screen) or choose "Sounds" from the pull down menu of your mobile devices. For more information for TRITON taktile visit here. 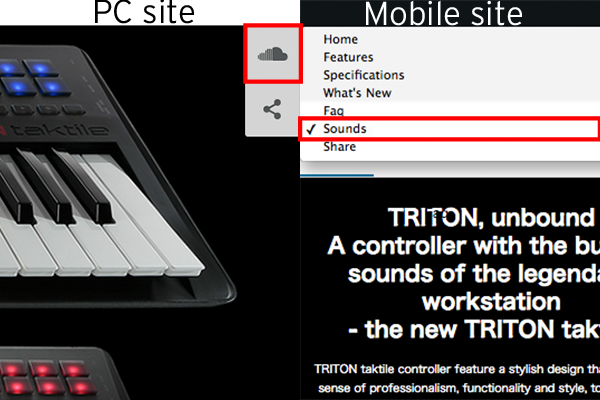 Home News Available sound demos for TRITON taktile!